Her cockpit is unique, boasting 110 square feet of space, featuring intergrated side lockers, live bait tank, bait prep station/BBQ area, ample utec refrigeration as standard, and a huge below deck storage locker. 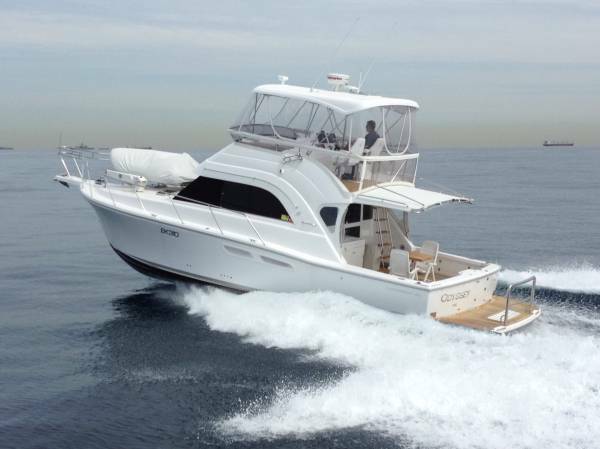 This configuration is ideal for large social gatherings or the family getaway, all without compromising any of Caribbeans pedigree offshore sport fishing ability. Saloon AIR CONDITIONING is now standard on the Caribbean 40. It is really as an offshore cruiser that this craft comes into her own. 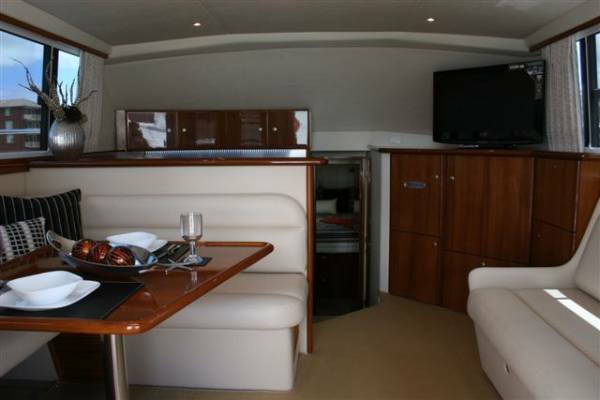 The saloon features, a large dinette, a large plush lounge, full entertainment centre with LCD and DVD, CD player, cocktail cabinet and an Icemaker. 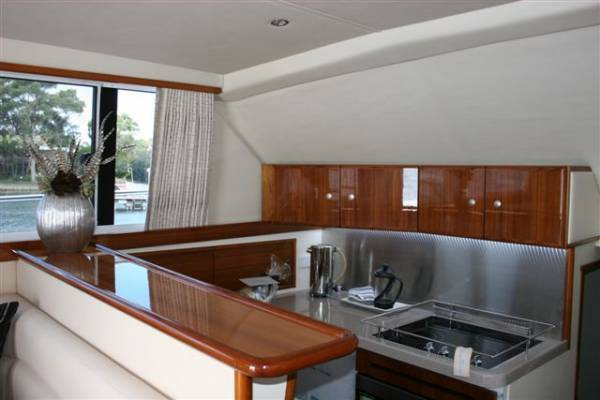 A full appointed galley complete with convection microwave, 4 burner ceramic cooktop, u/tec fridge and freezer, teak feature flooring and ample storage will keep the chef in you happy. 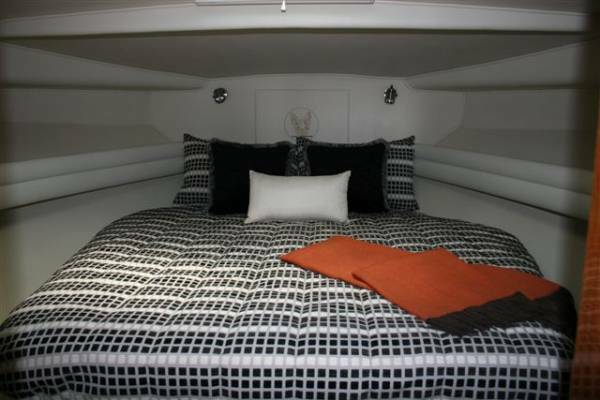 The Master cabin fwd has a queen huge island berth, a hanging locker and an abundance of drawers. Private access to the bathroom, with Vacuflush toilet, vanity and a separate large shower stall. 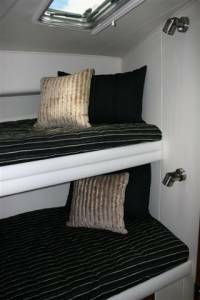 The generous guest cabin features two oversize bunks and ample storage areas. 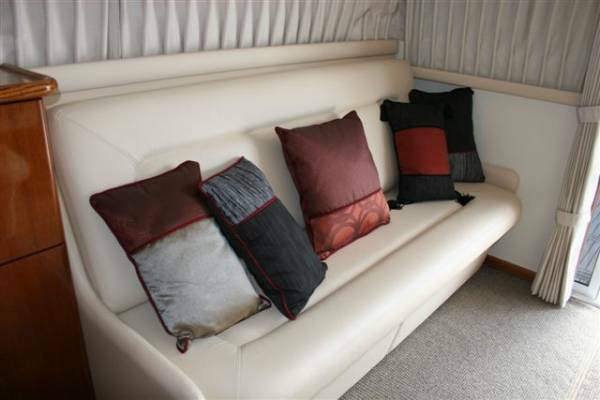 The new larger flybridge has enough room for all the family in two lounges with a table, sink and fridge for the coldies. The new deluxe helm and companion chairs are very cozy and the large dash / command station and overhead console has plenty of room for radios and optional electronics. Want for nothing in this beautiful cruiser! The 2 x Cummins QSC 500HP Electronic diesel engines give 31knot + performance and great economy. The C40 is available with a GRP front screen or clear glased front screen. 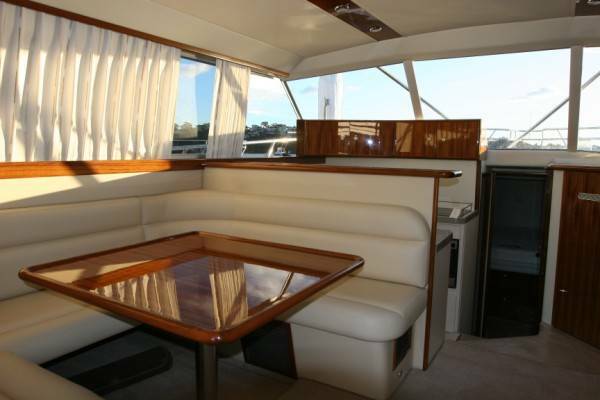 With the features that this boat posesses and for a big boat of this calibre, it is exceptional value for money. If you want any options fitted to make your boat unique, then we can do it all. 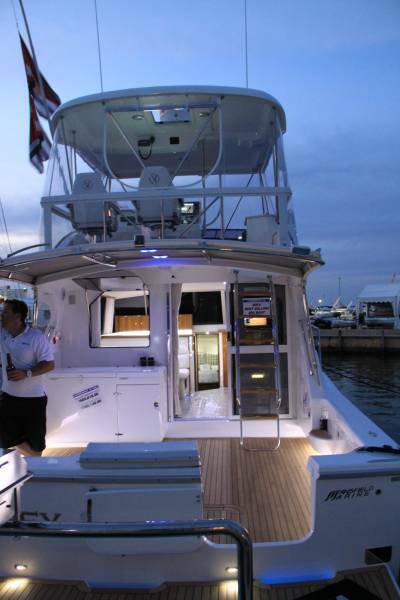 Mansfield Marine can enhance your new boat with any custom ideas imagineable. Come down and see a few 40's that we have enhanced recently. Whether you are a new or seasoned boatie, we offer pen set-up, maitenance and servicing as required. Leave the stress to us, you just GO BOATING! 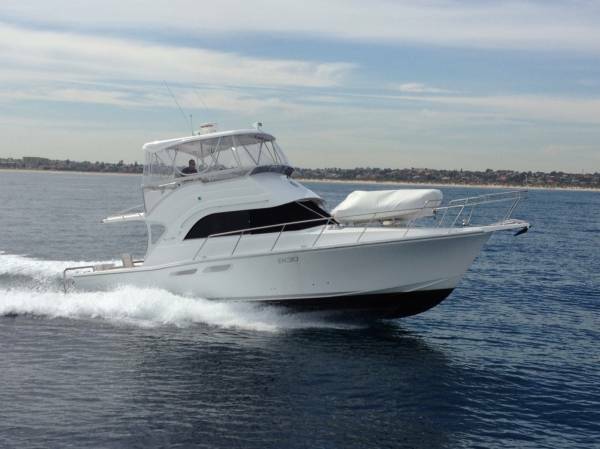 Mansfield Marine can supply, deliver and provide servicing for your NEW CARIBBEAN anywhere in Western Australia. WE HAVE BUILT OUR BUSINESS ON PRIDE, CUSTOMER SERVICE AND VALUED REPEAT CUSTOMERS. 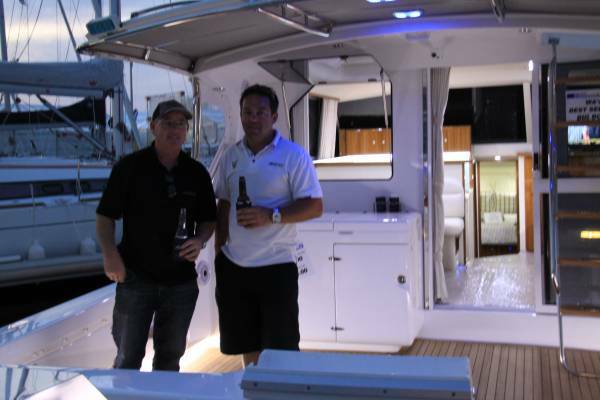 IF YOU WANT THE BEST BOATS AND THE BEST QUALIFIED SERVICE THEN PLEASE CALL US. NOTE: WA delivery charges apply and are in addition to above quoted cost. 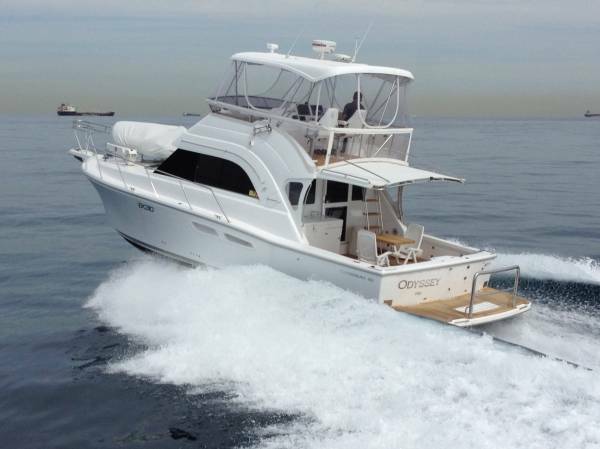 Call Travis Mansfield on 0419911560 or Coby Mansfield on 0418958658 for more info on any Caribbean model. 2 x Cummins QSC 500HP Common Rail Electronic Diesels, with smatrcraft monitoring systems, single lever electronic throttle and shift controls. Engine room: Beautifully designed, easy access to all components, separate genset E/room which keeps noice to a minimum. 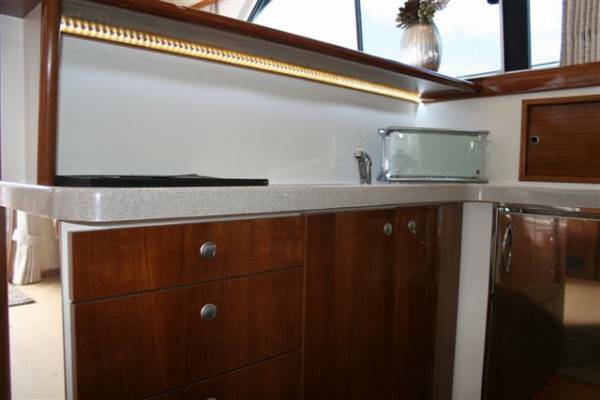 One step down from the saloon, to a very functional galley, offering corian style countertops, Convection Microwave, Glass ceramic hot plates, large U-tech St/steel fridge and separate countertop chest freezer. Teak and holly feature flooring and heaps of drawers and cupboard space will keep the cook happy! Cockpit U-Tech fridge/freezer, galley fridge and freezer ( both U-tech also), Bar fridge under TV, Fly-bridge fridge/freezer and optional icemaker. A fwd mater cabin with queen size island bed, a guest cabin with oversize bunks that could sleep a close couple in each if required, convertible stbd lounge in saloon sleeps 1 + 2, and as an option the dinette can be converted to a double. So 9 + can be accomodated! Very spacous bathroom / shower, with vacuflush toilet system and holding tank. 16 Lifejackets, 406 Epirb, offshore flare kit and 3 x Fire Extinguishers. Optional, all can be specified / recommended and installed by Mansfield Marine. Muir 12v reversing anchor winch, with all chain and CQR style anchor. NOTE: Please note that the photos within this display show some features and options that are not standard in the price as quoted. We can quote on options separately as required. We believe that the Caribbean brand is a great investment, both financially and in lifestyle. 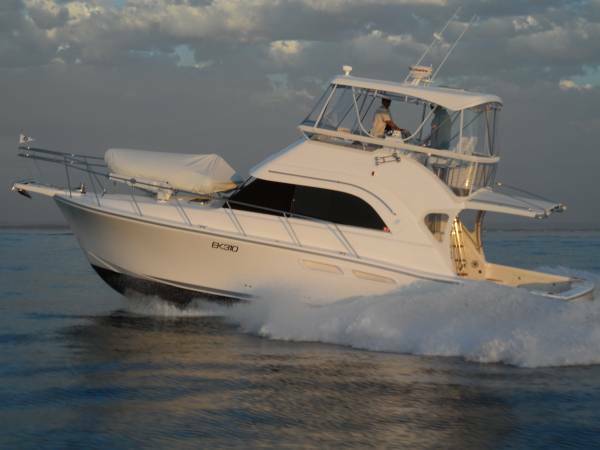 Mansfield Marine are the one stop shop for any Caribbean buyer. You just ENJOY THE BOAT, we look after everything! We can help sell your existing boat or look at trade-ins. Just give us a call to discuss.